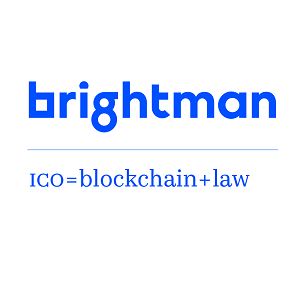 Brightman provides businesses with a single access point to crypto-investments,renderingtheir clients a full range of legal services to launch ICO from scratch. “Today, Cryptocurrency, ICO and other fresh forms ofinvestmentare of utmost interest for the companies and private individuals disregarding field or size of their business. And thus our advice and assistance with legal part of the White Paper, corporate structuring and business model development of ICO projects as well as compliance are in high-demand too”, – said Dmytro Honcharenko, founding partner. “We advise clients from various industries and backgrounds. We work in close cooperation with both start-ups and well-developed businesses, high net worth individuals and investment funds. Hardware and software developers, representatives of online gaming and gambling, media and entertainment, agriculture, consumer goods and retailare also among our clients”, – said Krystyna Nyemchynova Ugryn, founding partner. Brightman is planning to expand its business internationally, as well as broadening of its team in the nearest future.